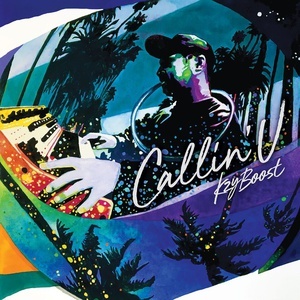 KzyBoost is the most talented Japanese modern funk artist over there, and you can be sure, you will hear a lot of talk about him before you know it. A new spicy modern funk touch has landed in this underground universe, mixing hip-hop grooves and nu soul vibes with a strong Californian funk influence. The craziest thing is that this artist lives in Osaka, Japan. Talk box and voices close the circle creating an amazing fresh atmosphere. One track on Callin'U features the wonderful Italian voice of FWN. This is the kind of album that makes your mind travel. Sitting on the couch, with your foot tapping on the floor, your head going slowly with the rhythm, and that feel good smile on your face. KzyBoost will make your soul dance.